Future Iron Banner Gear Revealed? 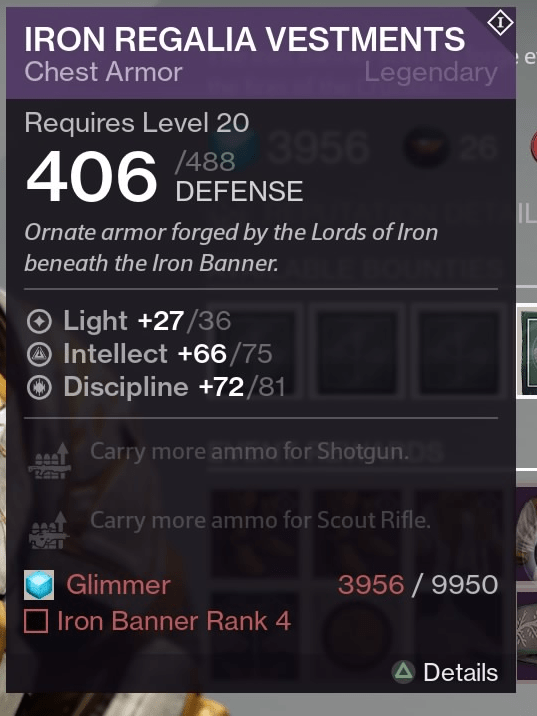 It appears there will be another Iron Banner event in March, and according to megamanexe4 (the same person who delivered the HoW images), he seems to know what Lord Saladin will have. The next Iron Banner event is supposedly coming on the week of March 17th. He also suggests that Xur is on a set “predetermined, ordered list” and that Heavy Ammo Synthesis are set to be sold this weekend (February 20th). Sadly, he alleges that Gjallarhorn will not be sold any time soon, if ever. This is not confirmed but certainly a possibility. He also lets people know that Hard Light and Thunderlord will be sold, but we knew that via his loot table (video published before TDB). Lots of interesting conspiracy theories about Xur today, too. What I have been told is that his loot table is randomly generated – just like so many other systems that govern the game. You’re smarter than me if you can predict the future by datamining a server, but foresight doesn’t change the random realities of the way things work. I have asked for the chance to provide input on his inventory, and have been told that the option for manipulation does not exist.